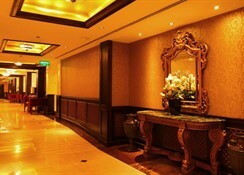 Arabian Courtyard Hotel & Spa in Bur Dubai has 173 rooms, spread over 10 floors. To make your stay more comfortable a lounge, a mini market, air conditioning, a conference room, a reception, a lobby and shops are available. The staff in this 10 storey hotel speaks English. Mobility on holiday is made easy through car hire. A swimming pool is available. Guests can unwind with a drink at the poolside bar. The hotel is within easy reach of bus stops, supermarkets, medical services, disco, theatre and cinema. Accessible from the hotel: airport DXB (12 km). The hotel ensures that disabled guests are catered for with the following amenities: wheelchair suitable lift, wheelchair suitable bathrooms and a ramp or level access. Vehicles may be parked in the garage and the parking lot. The romantic dining and great room views make Arabian Courtyard Hotel & Spa an ideal choice for honeymooners. This is an adults only hotel. 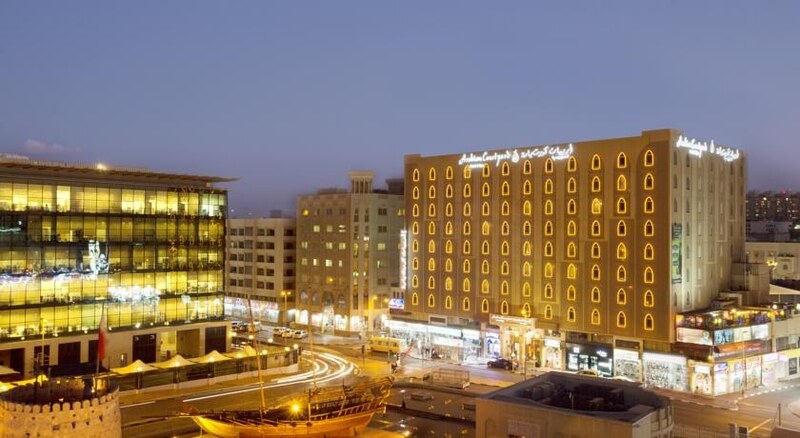 The hotel features an elegant, Arabian faï¿½ade and high quality services. The building was renovated in 2005 and comprises a total of 172 rooms. 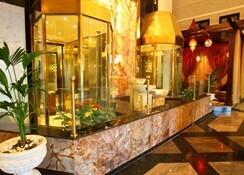 Amongst the hotel's facilities count a 24-hour reception, a currency exchange counter, a lift and a safe. 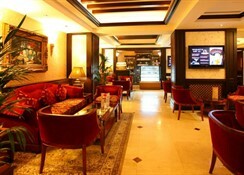 Furthermore, the air-conditioned hotel includes a cafï¿½, an English style bar called Sherlock Holmes, a nightclub and a restaurant serving various cuisines ranging from Indian to international style dishes. The Indian speciality restaurant, Mumtaz Mahal, as well as the Thai, Sino and Japanese restaurant Silk Route ensure guests will enjoy a special experience here. 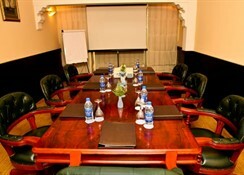 Business meetings and conferences may be held in the two conference rooms, whilst a ballroom is available for dinners and receptions. Room and laundry services are also available. Breakfast is free. Other amenities include a spa, a gym, and adults' and kids' outdoor pools. There are restaurants serving Indian, Chinese and Thai cuisine, plus a Sherlock Holmes-themed pub. Babysitting is available (fee). From the airport, guests should follow signs towards Bur Dubai over the Al Maktoum Bridge. After the bridge, take a right turn on to the Al Seef road and continue until the Al Fahidi roundabout. Then take another right onto Al Fahidi road in the direction of the Dubai Museum. This hotel is located just on the left-hand side. At Arabian Courtyard Hotel & Spa recreational amenities include massages, a hamam, a sauna, a relaxation room, a sun terrace and a steam room. Guests who wish to be active on holiday can enjoy activities such as exercise in the fitness room. The following payments are accepted: Visa Card, American Express, JCB and Euro/Master Card. The hotel requires all guests to provide a deposit on arrival. City /Tourist tax is payable locally.